Estuary, early April 2005. The following day it was lifted up, re-floated, and towed to the Bay Ship & Yacht shipyard in Alameda, CA. 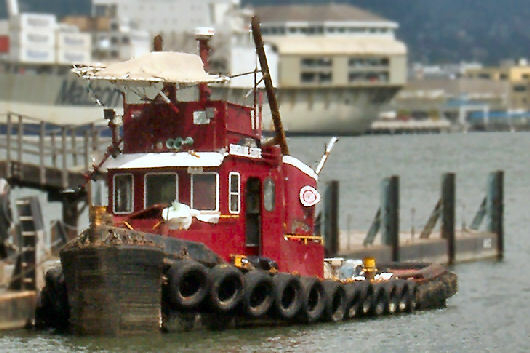 the tug by the Coast Guard. Provide a comprehensive survey report.